Do you know Grace & Frankie by Netflix? I saw a beautiful chair in the beach house on “Grace & Frankie” and fell in love. 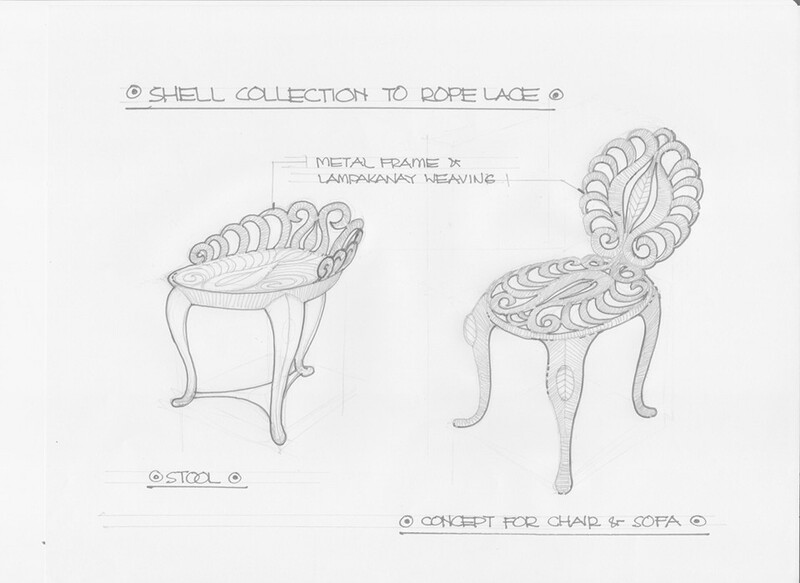 I found out it is Jo-Liza’s Tiara Side Chair from the Rope Lace Collection. 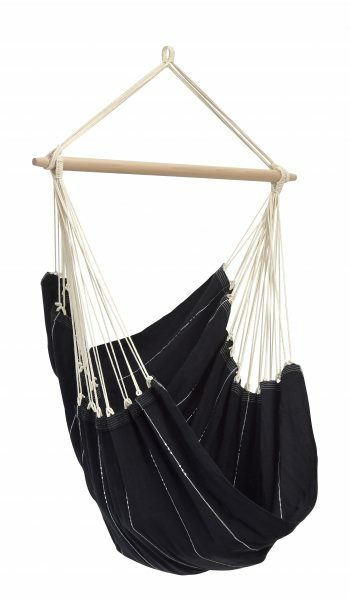 While searching for the Rope Lace Collection I stumbled upon the Hanging Egg Swing and guess what, I wanted this chair so badly that I decided to buy one and I could not be happier. This beautiful egg shaped swing chair is one of the handmade products in the Rope Lace Collection by Jo Liza. 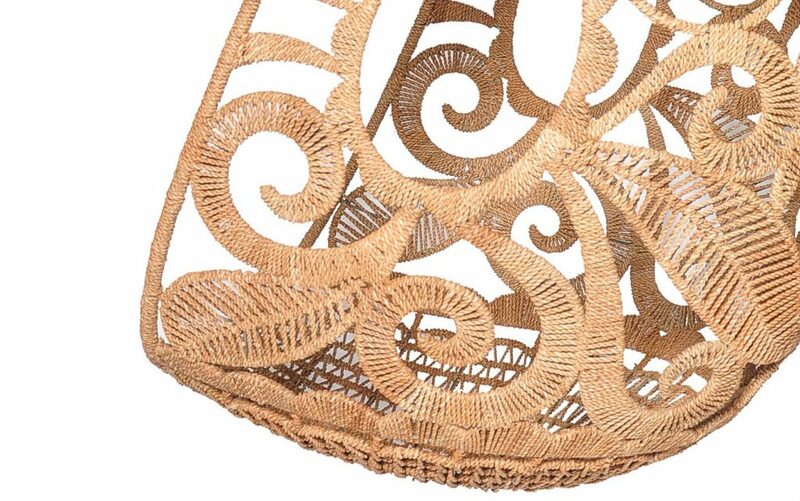 It is made of intricately designed wrought iron and handwoven with seagrass. 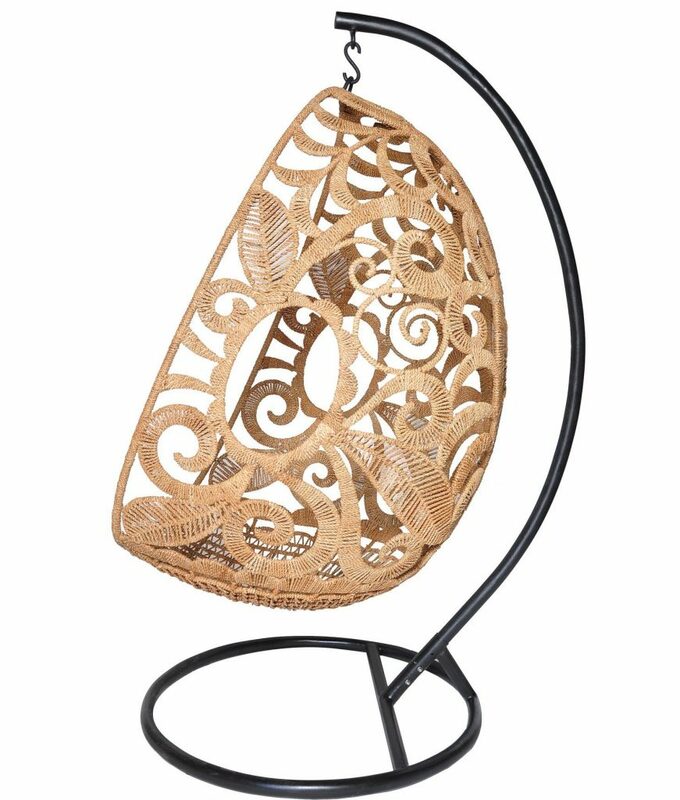 Its intricate, swirling pattern is reminiscent of leaves, vines, and large oval flowers, providing a natural, outdoorsy pop of life to any indoor environment. The seagrass that makes up the seat itself is comfortable enough to spend hours curled up inside of, but adding a cushion of your own can take this seat from reasonably comfortable to downright luxurious. Bohemian hand-woven swirling pattern. It’s like a kind of furniture poetry. This delicate seagrass egg swing’s primary asset is its appearance. Whereas other egg swings can come across as clunky eyesores, this one is light and airy— it adds a touch of whimsy to the room and does not overwhelm any of the other furniture or decorations in the general vicinity. Hand-woven hanging egg swing with stand by Jo Lisa — click on the image to check availability. 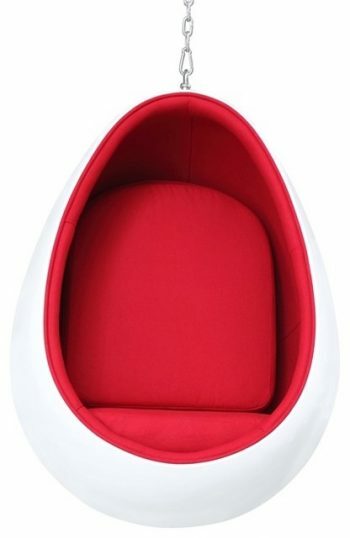 The egg swing chair by Jo Liza is both beautiful and functional. Though the product can be suspended from a ceiling, it comes with a sturdy yet elegant metal stand. The swing is also incredibly easy to assemble. Though the basket can be suspended from a ceiling, the fact that the metal stand is included is another plus; whether you plan to use your brand new egg swing indoors or outdoors, you have everything you will need in order to set up this product upon purchase. Though this product is sturdy enough to withstand normal indoor use, it may not be recommended for households with young children or rambunctious pets. Though seagrass is a pet-safe material, it is not necessarily pet-resistant– dogs and cats can pull apart the fibers that make up the swing itself if they use it too roughly. This material is also difficult to clean, which means that it may not be spill-resistant. Another con is the lack of a seat cushion, but this is easily rectified by adding one of your choice. She was chosen as one of the “BEST of the BEST” by the New York Metro chapter of ASID (American Society of Interior Designers) February 2014. “This beautiful egg swing chair is one of the handmade products in our Rope Lace Collection. It is made of intricately designed wrought iron and handwoven with seagrass. Growing up in the furniture industry, I have been inspired at a young age by my mother, who was a great influence in introducing amazing finds and treasures from all over the world. She was known as “Asia’s Queen of Antiques” during her time. 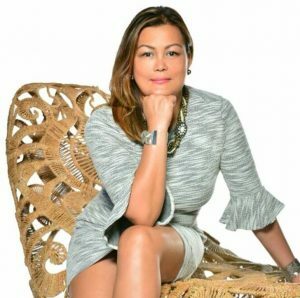 Working for her when I was in college, and allowing me to create and design my own ideas to sell to international buyers during our trade shows abroad and in our retail stores back in the Philippines, I was able to learn what things were marketable and what people wanted. For people who are looking for a beautiful, cozy spot to curl up and read a book, this beautiful hanging egg chair by Jo Liza International is an excellent choice– it is nice to look at, comfortable, and fairly sturdy. 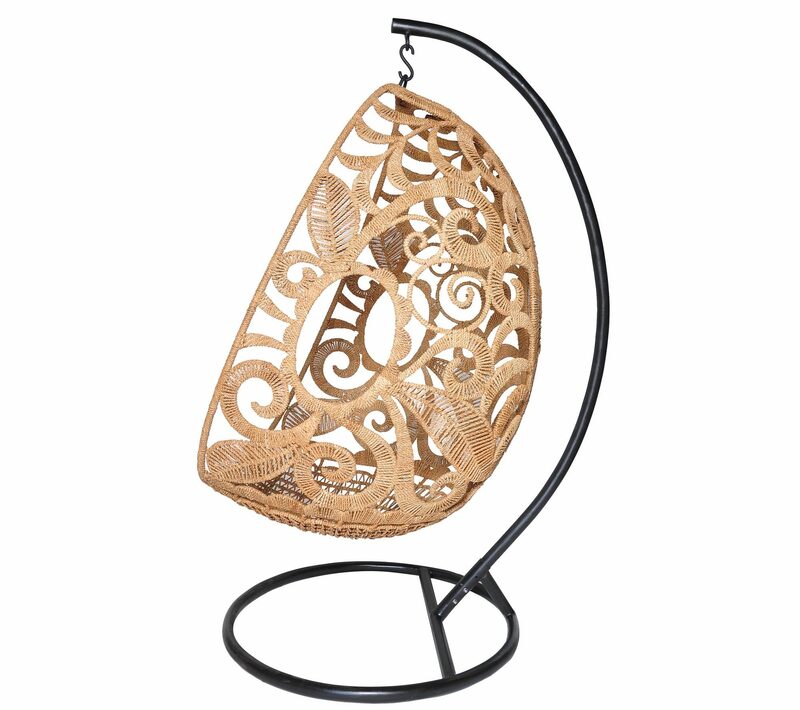 Made of wrought iron and hand weaved in seagrass, this organically stylish egg swing is both delicate and resilient and will work well for you and your family and add a nostalgic vibe to your space. Jo-Liza’s Egg Swing was nominated for the best product at the NY NOW 2017 Winter Show. More products from Rope Lace Collection you can find here at Amazon. Jo Liza’s line of furniture and home accessories inspired by organic materials to convey the essence of earth, sea, and fire. 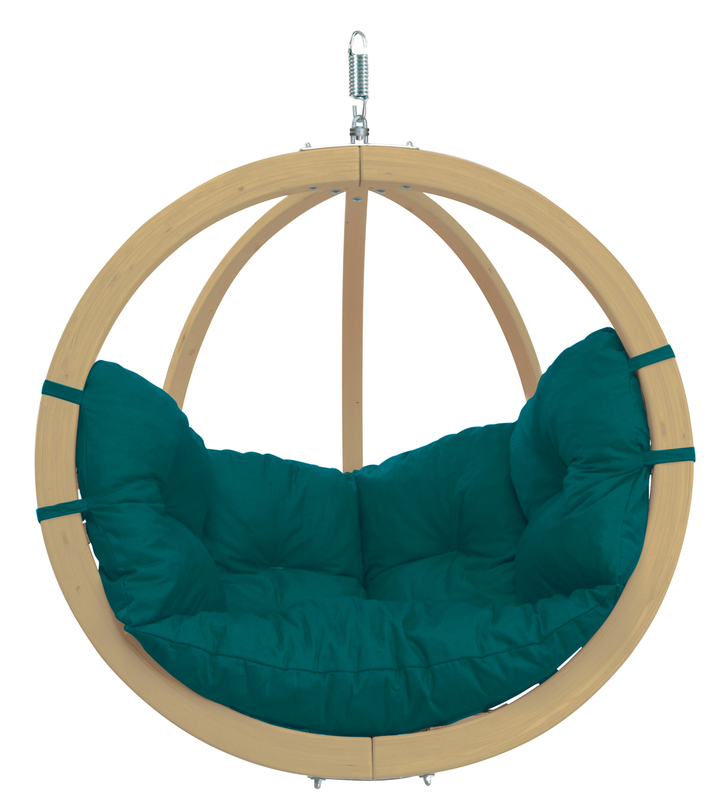 Want to see some of the best alternatives to the Jo-Liza’s hanging egg chair?